Relationships are everywhere, so isn’t finding a process that helps you enrich your interactions with the people around you a big part of empowering your life? 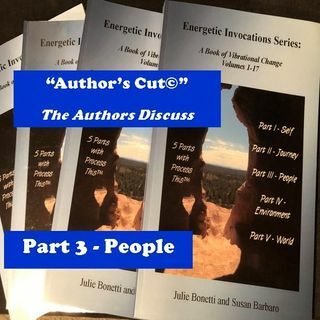 Join the authors’ discussion of Part Three, “People,” of “Energetic Invocations: A Book of Vibrational Change,” and find out how to connect with the energy of people, while exploring the hype of love, and dealing with the challenges of your own personal growth when others around may not share your vibration. Buy the book, absorb the ... See More energized discussion, and fill your journey with self-empowerment!